WordPress page builder plugins also give WordPress a competitive edge over all-in-one solutions, such as Squarespace. Simplifying the process of registering a domain, buying server space from a host and installing a content management system is a huge plus for most consumers, but what they’re truly interested in is the intuitive and easy-to-use site builder Squarespace comes with. Who are WordPress Page Builder Plugins for? Web design novices who need custom websites. Web developers who have too much business. Web developers who need to design websites for clients that make changes regularly. 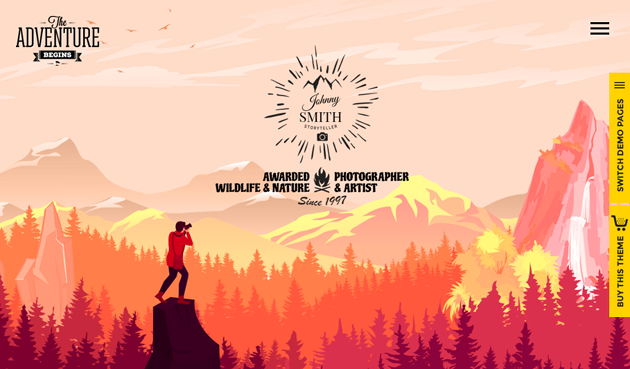 More and more entrepreneurs and professional bloggers are building decked-out, fully-featured websites complete with homepages that feature calls to action, testimonials, information about their services and more. These types of WordPress users find the ability to build their own custom designs quite useful. Drag-and-drop page builders and even drag-and-drop layout builders speed up the design process for a lot of developers. A lot of these builders come with dozens of content modules, making it possible for developers to develop a lot of websites in a short amount of time without foregoing the ability to give each website a custom design. Some clients need to make changes to their websites on a regular basis, such as changing what content appears on the homepage to reflect a sale, holiday or theme. Developers with clients who would prefer to make these changes freely without needing to consult developers may find these types of plugins useful. They allow developers to build a base and hand off maintenance, such as simple style changes, to clients. Let’s see what your options are. Without further ado, here are 14 best WordPress page builder plugins. The Divi Builder is the plugin Elegant Themes uses in Divi, the developer’s premier WordPress theme. It comes with over 45 content modules and the Divi Library, a feature that allows you to save modules and entire page layouts you create to use at a later time. 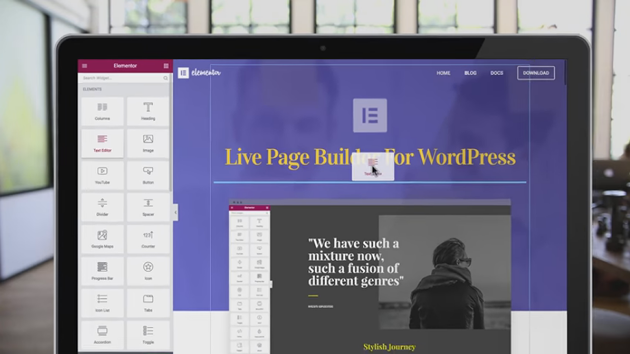 The Divi Builder currently works in the backend. An update that adds the ability to use it on the frontend is planned, however. 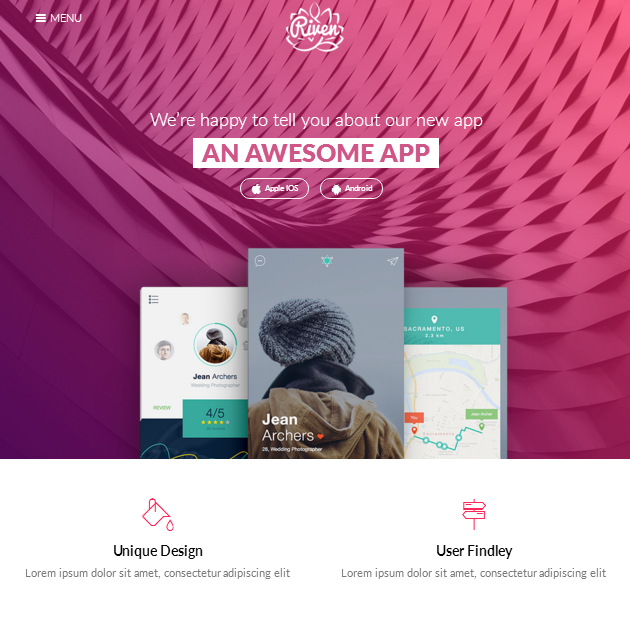 Elegant Themes has already released this update in the Divi theme. Elementor is a still a fairly new page builder plugin when compared to other plugins in this list, but it’s pretty powerful nonetheless. The base version, which is available free of charge, features over two dozen content modules and allows you to control a number of different features, such as column sizes, margins and padding. Beaver Builder is another WordPress page builder plugin that has its own theme but can also be used with any theme. It comes with well over a dozen content modules and allows you to build on the frontend. It also supports posts and custom post types and features a lite version. At over 230,000 sales on CodeCanyon, Visual Composer is one of the most popular page builder plugins in existence. It’s a premium plugin that uses a drag-and-drop interface on the frontend, but you can also use it in the backend. It comes with dozens of content modules and over 45 page layouts, and you can add over 200 additional extensions with premium add-ons. At over 1 million active installs in the WordPress plugin repository, SiteOrigin Page Builder is another immensely popular page builder plugin. It allows you to create column-based content with widgets. 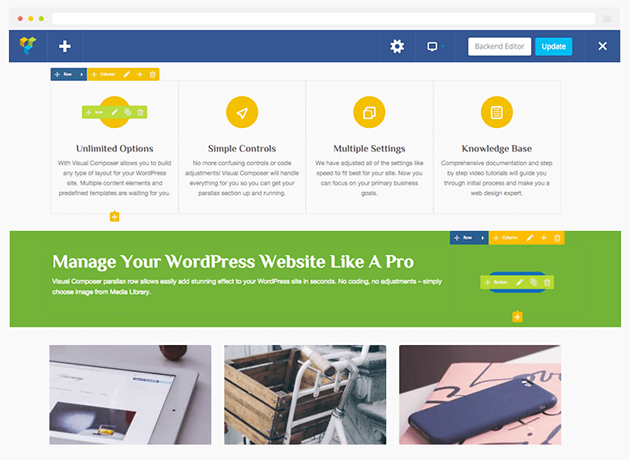 It’s entirely free and works with any theme, though the developers, and many third-party developers, have released themes made to be compatible with this plugin. Content Editor is MotoPress’ premier plugin. 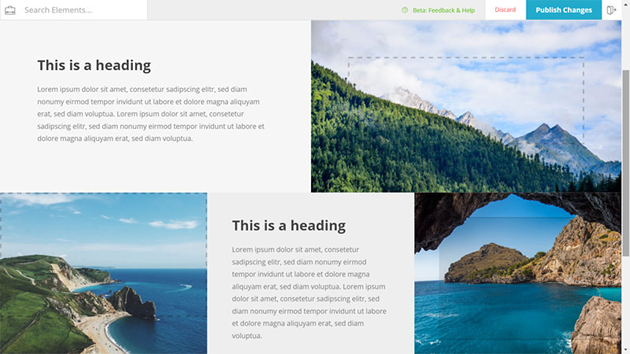 It’s a drag-and-drop page builder that allows you to design and build custom pages on the frontend. It comes with over a dozen content modules and even more in add-ons. You can even use one of MotoPress’ free themes with the plugin, which were designed to be compatible with it. Themify Builder is another premium page builder plugin that can be used with any theme but also has a dedicated theme, the Ultra theme. It works in the backend as well as the frontend, allowing you to build your own custom pages using a number of different content modules, page layouts and custom styling. 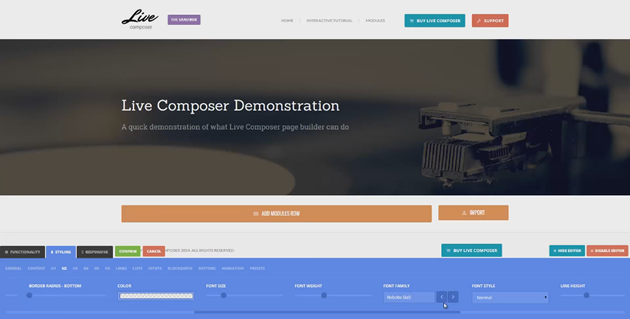 Live Composer is another free WordPress page builder plugin. Even its starter themes are free. This plugin is incredibly powerful despite it being free. It allows you to build on the frontend of your site and show your changes in real time. You can purchase premium extensions to extend its functionality, if you wish. 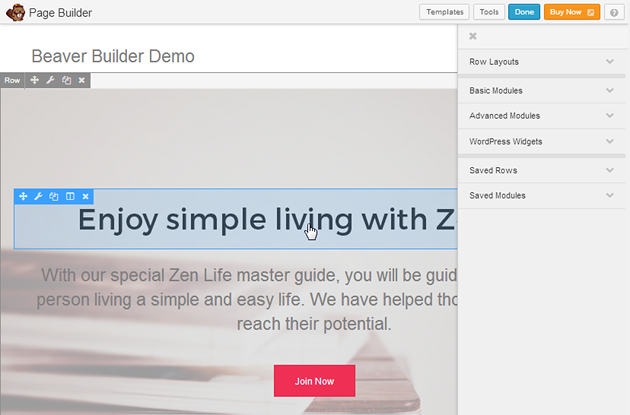 Frontend Builder is a premium page builder plugin with a UI similar to Photoshop’s. 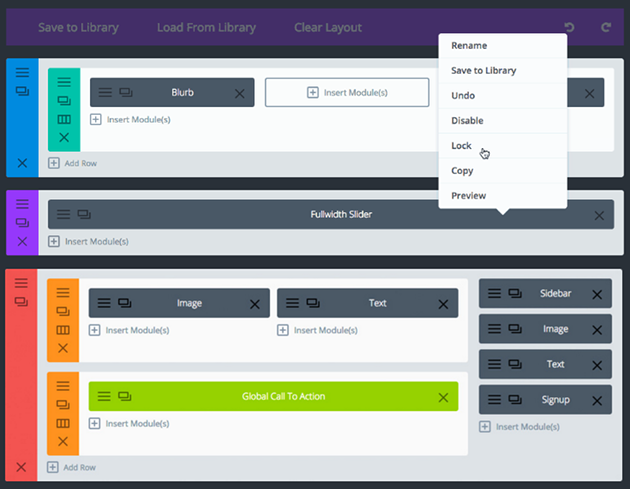 It allows you to build on the frontend in real time using a drag-and-drop layout builder and an options panel on the right. 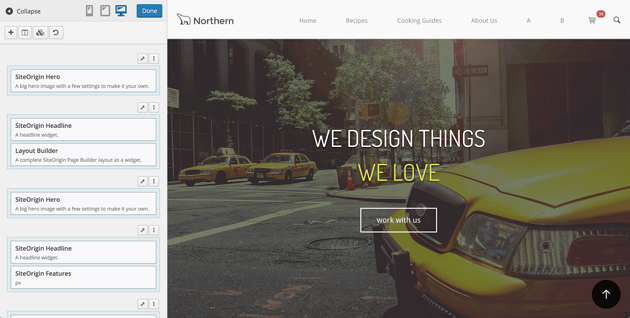 It comes with over a dozen content elements, allowing anyone to build beautiful custom pages. Page Builder Sandwich is another free WordPress page builder plugin that has a premium version. It works in the same way the live theme customizer works, allowing you to click and edit elements on the frontend in real time. The premium version comes with pre-defined layouts you can use to speed up the development process. 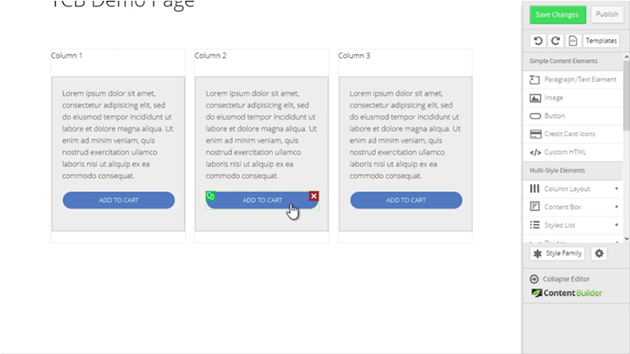 Forge is a free page builder plugin you can extend by purchasing premium add-ons. It works on the frontend and saves and shows your changes in real time. Your changes won’t be published until you choose to do so, however. This plugin also works with any theme, and it doesn’t use shortcodes, so you can deactivate it with ease. You can also use the free Furnace theme, which was made to be compatible with this plugin. Thrive Content Builder is a premium page builder plugin that comes with every content module businesses need to build effective landing pages. It also comes comes with a number of different landing pages already designed and ready to use. It also works on the frontend of your site, and you can even use it to create custom blog post designs. Cornerstone is the page builder plugin built into the X Theme, one of the most popular WordPress themes on ThemeForest. 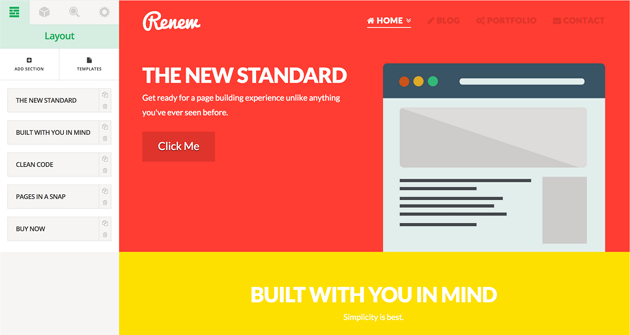 The standalone version works with virtually any theme, and it allows you to build on the frontend of your site. It comes with over 40 content modules, allowing you to build an endless number of custom designs. It’s a great plugin for developers of all skill levels, even novice WordPress users. Choosing a WordPress page builder plugin can be quite cumbersome, but there are a few different things you can do to narrow down your list of options. For starters, if you don’t want to blow any money experimenting with page builders, go with one of the fully-loaded free options, such as Elementor or Live Composer. If you’re a developer, go with an option that has developer-friendly features. This includes the library and lockable modules available in the Divi Builder and Beaver Builder plugins. 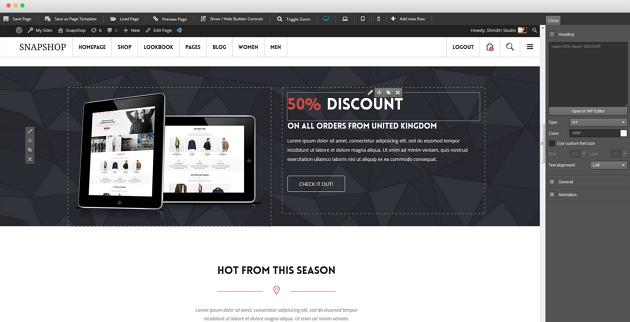 If you’d prefer to work with dedicated page builder themes, check out our list of the Best Drag-and-Drop WordPress Themes for E-Businesses. What I’m looking for is a drag-and-drop builder that will help me construct pages using Bootstrap (4) markup. That means no fancy, custom code. It means plain mark-up, and Bootstrap 4 classes where I choose. Have you encountered anything like this – either Bootstrap-specific, or that allows me to write modules that I can insert myself? There are some important “internal” differences between the page builders listed above and I suggest to everybody, before choosing one, to do a bit deeper research about the ones it thinks it will fit his needs. I.e. Divi looks great, but it becomes a nightmare (read: can’t do sh*t) if you want a bit more control and automation over dynamic content creation. It also works with lot of shortcodes left behind. Beaver Builder. in the contrary, is a bit more techy but it’s also much more flexible, gives you much more control out of the box and it loves (keeps) your content even after you switch it off. These are just a tip of the iceberg examples that can make a big difference once you start working with the one it looks great at first look. Be smart and do your homework before you invest your money. My pick would be Elementor, since it does not use shortcodes. It has a great UI and UX, is performance based, so in short it is a solid options for most users and is dev friendly. I’m waiting for the next Visual Composer release, it will be totally different and much more powerful than it is now. Having been through most of them mentioned. I have settled on the following specifically since I design for others. Thrive Content Builder – Simply the best for Marketers. Additional supportive plugins available and themes. 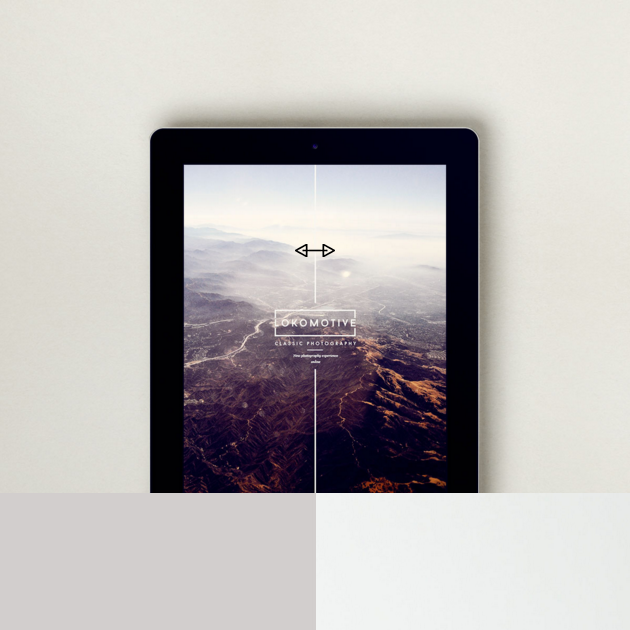 Gigantic selection of useful template layouts. 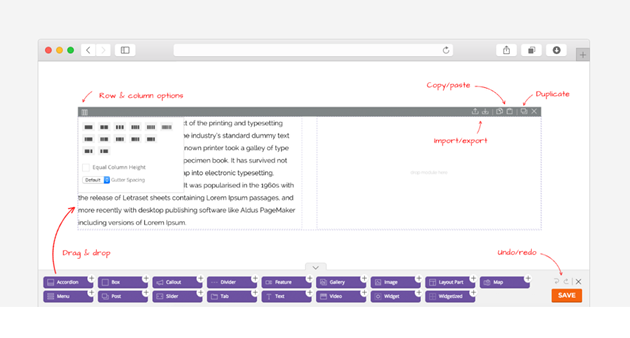 More of a system than just a page builder. Beaver Builder – Easiest all around to use from a developer and client side. All you need when used along with Ultimate Addons for Beaver Builder. Divi Builder – Great for fast builds and insanely powerful for the price with a huge community. Runner Up – Elementor – Best free version. Speedy development of features. Expensive Pro version for unlimited sites compared to BB or Divi. Pro upgrade still relatively new. I use SiteOrgin’s PageBuilder. It is easy to operate and the support is excellent. Even more is the ecosystem around PageBuilder is growing, so the widgets available is ever expanding. Soon widgets used in both Beaver Builder and Elementor will be available. Thanks for writing this Lyn 🙂 In my opinion Divi Builder is the best DIYer friendly web building tool out there in the market right now. There’s a huge community behind it. Elegant Theme releases free layout packs frequently to support the community. Also there’s site like these https://divibuilderaddons.com/ where people can buy Divi child themes, addons and layouts to make their design workflow easier. 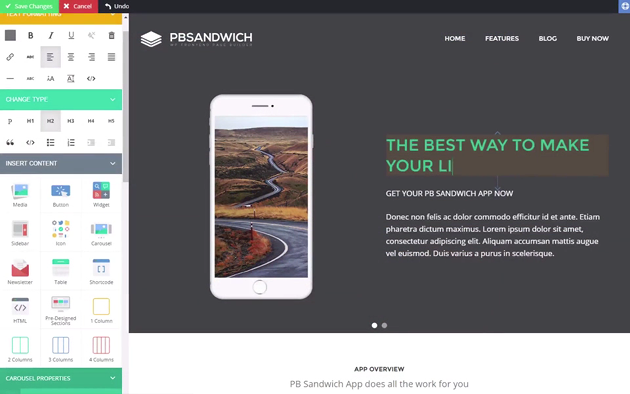 Thanks for including Page Builder Sandwich in your list 🙂 We have updated the UI of PBS to make it more intuitive and beginner friendly. We’d love to know what you think!